Meer dan 60 jaar na dato wordt de deling van het land tussen de Middellandse Zee en de Jordaanrivier nog steeds niet geaccepteerd als een historisch feit, laat staan als een legitieme verwezenlijking van het Joodse zelfbeschikkingsrecht. Een minderheid aan Israelische zijde en een meerderheid aan Palestijnse zijde willen zich niet neerleggen bij het feit dat zij niet het hele gebied kunnen krijgen. De Israelische regering doet wellicht te weinig om de eigen achterban van de noodzaak tot een compromis te doordringen, maar het Palestijnse leiderschap gebruikt haar officiële media om te verkondigen dat Israel gewoon een tijdelijk bezet stuk van het Arabische land is. Hoe moet hier ooit vrede komen? All of Israel is "Palestine"
The Palestinian Authority is telling its people that peace with Israel is not a goal. Instead, the PA says that all of Israel is "Palestine," and that no compromise is acceptable because this principle is "the only red line." This message was expressed by the regular cartoonist, Muhammad Sabaaneh, in the official PA daily. The cartoon is a clear example of the PA's lack of recognition of Israel's right to exist, and sends a message that the PA's real goal is a complete dismantling of Israel and its replacement by a Palestinian state. This sentiment is implicit in PA ideology but only occasionally is it expressed so explicitly in its controlled media. Palestinian Media Watch has reported that the PA continuously presents all of Israel as "Palestine." In recent months, this message appeared in cultural and educational settings. "We commit and promise to stand behind you, oh Mahmoud Abbas, until Judgment Day. I am returning to you, the purest land, oh land of the free. No matter how long the nights of exile, I am returning to you, oh land. From Rafah to Rosh Hanikra (northern Israel) our coast, and Beit Shean (Israeli city). Above your soil, oh my land, is a picture of Garden of Eden. From Rafah to Rosh Hanikra our coast, and Beit Shean. Above your soil, oh my land, is a picture of Garden of Eden. From Rafah to Rosh Hanikra, north and south, are the picture's borders. From Haifa (Israeli city) and Tantura to the [Jordan] valley (i.e., all of Israel). I am returning to you, the purest land, oh land of the free." "Jaffa, Acre, Haifa, and Nazareth are ours. [I] Muhammad sing about the Galilee and the Golan (Heights). and send regards to the sea of Acre and Haifa. and tell Beit Shean about its people's return. greetings to Nablus, Tulkarem and their soil. don't forget Ramle and Ramallah. My country Palestine is beautiful." In addition, the PA continues to deny Israel's right to exist, calling all of Israel "an occupation," "stolen" and more. Headline: "Under the auspices of the Prime Minister [Abbas] and with an unprecedented official and popular turnout - commencement of the third Summer Nights in Jerusalem Festival in Beit Anan"
"Husam Al-Sheikh, Chairman of the Cultural Forum Center in Beit Anan, which is organizing the festival, estimated that since its commencement two years ago, the festival has immortalized cultural and geographical [Palestinian] diversity in its events, and that this year this diversity will be highlighted through the hosting of artists and groups from all the Palestinian districts as well as from Palestine occupied in 1948 (i.e., Israel)." Manal Taha, one of the organizers of the event... [said that Israel's aim is] to threaten the resolve within the occupying entity, which continues through the actions of the authorities in Jaffa, Acre, Haifa, Jerusalem, and other occupied Palestinian cities. She added, 'Through this event we hope to turn the spotlight onto the suffering of our people in the Interior (i.e., in Israel). In addition, we aim for this event to be a first step on the road to restoring the spiritual connection between Palestinians wherever they may be, by carrying out other activities in the future for these purposes. Taha called upon everyone to participate in this activity, whose aim is to energize the connection between the Palestinians of the territories occupied in 1948 and [those in] the territories occupied in 1967." "If you climb the Khirbat Safa Hills [in the West Bank] and look with your eyes towards what the Israeli occupation and its settlers have seized, your eyes will well up and cause you to weep twice: once over the territories occupied in 1948 (i.e., year of Israel's creation), which are currently under the rule of the occupation. The Safa Hills look out over wide expanses of these territories, and sometimes you can see the Mediterranean Sea, the city of Ashkelon (i.e., Israeli city), and even Tal Al-Rabi'a "Tel Aviv", upon which the occupation has consolidated its control." "Palestine's war ended with a catastrophe that is unprecedented in history, when the Zionist gangs stole Palestine and expelled its people from their cities, their villages, their lands and their houses, and established the State of Israel." "Where are you [Israelis] from? Where are you from? Where are you from? Of course, you're from Ukraine; of course, you're from Germany, from Poland, from Russia, from Ethiopia, the Falasha (pejorative for Ethiopian Jews). Why have you stolen my homeland and taken my place? Please, I ask of you, return to your original homeland, so that I can return to my original homeland. This is my homeland; go back to your homeland!" Het Israëlische leger zegt dat vier doelen werden geraakt als vergelding voor raketbeschietingen in het zuiden van Israël in de nacht van zondag op maandag, waarbij geen gewonden vielen. Bij een andere aanval van Israël werd een groep gewapende mannen beschoten die van plan zouden zijn geweest raketten af te vuren. Geen gewonden, dus wat zeurt Israel nou weer? Grad raketten zijn beter dan Qassams, en het is een veeg teken dat er nu zomaar een raket op het 40 km verderop gelegen Beersheva wordt geschoten. Sderot en ook Ashkelon hebben allerlei maatregelen genomen vanwege de vele raketbeschietingen, zoals safe rooms in alle huizen en extra beveiligde scholen. Moet Beersheva, een stad van zo’n 200.000 inwoners, dat straks ook allemaal gaan doen? Ik bedoel maar, de impact van zo’n raket gaat veel verder dan de directe schade die het ding aanricht. What's missing from this CNN story? At least four airstrikes hit Gaza early Tuesday, leaving two people critically wounded and a third on life support, Palestinian medical and security sources said. All three injuries occurred in a strike east of Gaza City, where a group of Palestinian militants had gathered, the sources said. The other strikes targeted a training field for the military wing of Hamas, the Palestinian faction that controls Gaza, east of the city, and a site outside Khan Younis that militants recently used to fire rockets out of the territory into Israel, the security sources said. A fourth strike hit near the Rafah border crossing with Egypt, but no details were immediately known. There was no immediate comment from the Israeli military on the strikes, which occurred shortly after 2 a.m. (8 p.m. Monday ET). Just the fact that a Grad rocket was fired from Gaza to Beersheva a couple of hours earlier. Overnight, IAF aircraft targeted four targets in the Gaza Strip. Direct hits were confirmed. These sites were targeted in response to the firing of a rocket from the Gaza Strip at the city of Be’er Sheva. In a separate incident, IDF soldiers identified a squad of terrorists planning to fire rockets at Israel. IAF aircraft thwarted the attempt, confirming a hit. The IDF will not tolerate any attempt to harm Israeli civilians and IDF soldiers, and will respond with determination to any attempt to use terror against the State of Israel. The IDF holds the Hamas terrorist organization solely responsible for any terrorist activity emanating from the Gaza Strip. The person who was killed in Gaza was a Hamas terrorist. We lezen vaak over kolonisten die Palestijnse olijfbomen vernielen, Palestijnen die zomaar worden gearresteerd en Palestijnen die van hun land worden verdreven omdat een nederzetting wordt uitgebreid. Maar kloppen die verhalen wel? Lang niet altijd, zo blijkt uit onder andere dit onderzoekje van Missing Peace. Waarmee niet gezegd is dat kolonisten nooit Palestijnen treiteren en Israel nooit onterecht Palestijnen arresteert, maar wel dat we niet alles klakkeloos kunnen geloven wat van zogenaamde ‘mensenrechten- en vredesorganisaties komt en hier klakkeloos door de NRC, Trouw en de Volkskrant wordt overgenomen, om van de riooljournalistiek van Joop.nl wat betreft Israel nog te zwijgen. A shocking tale about UNWRA’s involvement in the cognitive war against Israel. There is no shortage of claims about alleged Israeli human rights violations in the so called ’West Bank’. Most of these claims originate from Palestinian sources and NGO’s and are part of a disinformation campaign that aims to delegitimize Israel. This campaign of distortions, bias and, sometimes, outright lies is well documented by a host of bloggers and organizations – such as Honest Reporting and Camera. One of the players in this campaign is UNWRA, an organization that is supposed to be impartial and to provide humanitarian aid to Palestinian refugees. UNWRA’s anti-Israel bias is not quite new but, until recently, has been limited to refugee related issues. Now UNWRA has apparently decided to interfere in the already explosive situation in the West Bank and joined the general disinformation campaign against Israel. Here’s how that campaign works. Dutch orchestra attacked by IDF? At the end of July the Palestinian News Network published an article about a Dutch orchestra that was supposedly attacked by the IDF during a performancein the Palestinian village Kfar Qadum. The PNN article was widely distributed among international media outlets. However, a member of the orchestra wrote a detailed account about the actual events. The orchestra participated in the weekly peaceful demonstration against an IDF checkpoint in the vicinity of the village, he said. 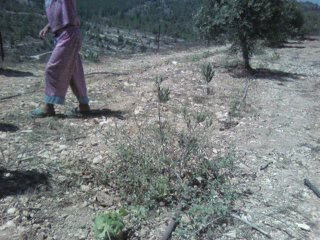 Olive trees destroyed by IDF? Another claim that originated from a Palestinian source, involved the alleged destruction of 200 olive trees in the village Al Walaja near Bethlehem. JAI, the Joint Advocacy Initiative, published a report about Na’el Khalid, a Palestinian farmer who claimed that 200 olive trees were destroyed when Israeli authorities started building the security fence on part of his land. JAI also reported that Khalid would lose his land to Givat Ya’el – a planned Jewish community adjacent to Al Walaja. “In accordance with Israeli Supreme Court rulings regarding the rerouting of Israel’s security fence, the Israel Defense Forces (IDF) transplanted trees from Mr. Na’el Khalil’s property to an adjacent plot, ensuring that he was able to continue working his land. The Israeli court authorities have previously denied several petitions seeking ownership of the land adjacent to the Palestinian village Al-Walajah by the Givat Ya’el community, a private building project in Judea”. A field investigation in Al Walaja where we visited Na’el Whalid’s lands, proved the IDF right. The photo [above] was taken on August 9th and shows some of the Dutch funded olive trees on a plot adjacent to the fence which is still under construction. Then there was an Economist article that was apparently based on a B’Tselem report and an article on the 972 website. According to the Economist, Israel routinely arrests Palestinian minors at night, some as young as eleven, and shows no mercy when they stand trial. “Israeli soldiers don’t maim enough Palestinians”. “If the IDF would have taken the incidents more seriously and had acted in a different way the stone throwing would have been a thing of the past”. The Egyptian paper Al Ahram outdid the Economist when it charged ‘Israel’s most aggressively racist government ever’ with ‘prosecuting and imprisoning Palestinian children at will on bogus charges such as throwing stones’. In a reaction, the Israeli Military Prosecutor’s Office stated that stone throwing is a criminal offense in Israel. Throwing stones can cause severe injuries and even – as has happened in the past – death. Israeli law calls for the punishment of stone throwers, even if they are minors and regardless of their nationality or religion. However contrary to what was written in the Economist’s article, there are almost no cases where Palestinian minors under the age of 14 have been convicted for stone throwing. The Military Prosecutor’s Office also stressed that a special court for minors has been established (Military Juvenile Court) which is meant to take care of the defense of the rights of minors. In addition, almost all suspects in the Juvenile Court are represented by counsel, which is contrary to the state of affairs in Israeli civil courts. Most of the trials take place within a rather short amount of time and minors, whose case has not been heard in a reasonable amount of time, are often released. The IDF tries to arrest the suspect as soon as possible after an incident has taken place. If this proves impossible the military, for security reasons only, carries out arrests during night time. Minors are held in special wings of three prisons and their needs are met on an individual, case by case, basis. So there is no prosecution and Imprisoning without due process but, rather, a legal procedure that takes in account the age of the suspect. The most shocking example of the distortions industry came from UNWRA spokesman Chris Gunness during an interview with Ma’an News Agency. Reacting to this interview, and a related UNWRA press release, we asked Gunness for additional data and information on demolitions issues. UNWRA then sent us a report that only contained locations and dates of the West Bank demolitions. “Many displacements are taking place where settlements are expanding and with it we are seeing an upturn in vicious attacks by Jewish settlers. Palestinians are being thrown off their ancestral lands to make way for settlers”,Gunness told Ma’an. This suggests two things. First, that settlements are still expanding outside the municipal boundaries and second that Jews are replacing Palestinian Arabs. As Gunness knows very well, since 2005 settlement expansion has only taken place within the existing zoning lines of the municipal boundaries. No Palestinian Arabs have been kicked off their land to be replaced by Jews. This suggests a slow “ethnic cleansing” of the Palestinian population on the West Bank. Of course Gunness is well aware of the fact that only 3% of the Palestinian population lives in Area C – most of them Bedouins, who mostly live in tents and are used to moving from place to place. UNWRA’s own census from 2007 shows an average population growth of the Palestinian population on the West Bank of 2,5 % per year. “127 people expelled in maale nikhmas – displaced for settlement in the last few weeks. Is that enough? Really? The 127 Palestinians expelled from Maaleh Michmas ‘displaced for settlement’were in fact Bedouins who decided to leave, as his own UNWRA press release states. There is no evidence that Ma’aleh Michmas residents took their place. In fact, according to a report by the pro-Palestinian organization International Solidarity Movement, 16 Bedouin were evicted in the Maaleh Michnas area at the end of July. This happened after they illegally camped within a closed military zone and received eviction orders two years ago. This was not the first time Gunness was caught distorting the facts and engaging in an anti-Israel campaign. During the Gaza war he falsely accused Israel of firing at UNWRA convoys. UNRWA’s contemporary mandate is to provide relief, human development and protection services to Palestine refugees and persons displaced by the 1967 hostilities in its fields of operation: Jordan, Lebanon, the Syrian Arab Republic, West Bank and the Gaza Strip. UNRWA’s mandate has been repeatedly renewed by the UN General Assembly. The current mandate runs till 30 June 2014. What do the UNWRA investigations into West Bank building issues and violence between Jews and Arabs have to do with providing humanitarian services to displaced persons. Gunness told us that UNWRA has a team of 12 investigators conducting research on settlement and building issues on a daily base. Got that? A UN organization designed to provide humanitarian aid to Palestinian refugees is going after Israel’s building policies on the West Bank. Instead of focusing on the plight of the refugees and their descendants in, for example, Lebanon, where the Palestinians living in refugee camps still are without basic human rights, UNWRA prefers to join the disinformation campaign against Israel. It may be too late for Israel to repair the damage caused by this global disinformation campaign. That’s too bad because this is where many other campaigns like BDS, and delegitimization start. The Israeli government does not seem to grasp the severity of the situation and still doesn’t respond decisively to the endless flurry of distortions and outright false claims. However, it is not too late to demand an immediate investigation into UNWRA’s participation in this cognitive war against the Jewish state. This affair, on top of earlier scandals in which UNRWA’s ties to Hamas were exposed, should finally lead to a complete overhaul of the way the UN deals with the Arab Israeli conflict. Desmond Tutu is een vooraanstaand iemand en gerespecteerd wereldwijd. Hij heeft in Zuid Afrika gestreden tegen de Apartheid en daarvoor de Nobelprijs ontvangen. De Zuid Afrikaanse Apartheid was gestoeld op rassenscheiding. Nu wendt Tutu zijn bekendheid en reputatie aan om Israel te bestrijden op allerlei mogelijke manieren. Hij volgt daarbij zijn ervaring met de Apartheidsstrijd. Hij gaat ervan uit dat de term:” Apartheid” zonder meer voor Israel gebruikt kan worden en neemt niet de moeite de discussie aan te gaan met mensen die terecht wijzen op het feit, dat er in Israel geen Apartheid is. Iedereen in Israel kan met elkaar werken, alle openbare gebouwen staan voor iedereen open, openbaar vervoer is voor iedereen, gezondheidszorg is zonder onderscheid voor iedereen, universiteiten hebben gemengde samenstelling van studenten etc. Daar waar scheiding is, door bij voorbeeld de muur, weigert Tutu de oorzaak van die scheiding te erkennen. In Zuid Afrika was scheiding op grond van ras aan de orde, in Israel is scheiding op grond van terroristische aanslagen aangebracht. Dat zijn twee totaal andere zaken en de Israelische voorzorgsmaatregel, die zeer goed tegen terroristische aanvallen blijkt te werken, heeft niets met ras maar alles met veiligheid te maken. Tutu gaat in zijn haat tegen Israel grondig te werk. Hij bezoekt campussen en bewerkt studenten. Hij schrijft universiteiten aan en bewerkt besturen om de samenwerking met Israelische universiteiten te beeindigen. Diezelfde Tutu is nu eregast bij het Kairos congres aan de VU in Amsterdam in september, georganiseerd door Vrienden van Sabeel. Van de “Vrienden” weten we al dat hun vriendschap zeer beperkt is tot Palestijnen en voor Israel meer een haatboodschap uitstraalt. Tutu zal hun boodschap van haat goed uitdragen en het is zorgwekkend dat zowel kerkelijke als universitaire autoriteiten de ware boodschap van Tutu niet onderkennen. Tutu is gewoon een mens met een glansrijk verleden en nu vervuld met haat, die hij op slinkse wijze wereldwijd slijt. Archbishop Desmond Tutu, whose role in the fight against South African apartheid in the 1980s gained him the Nobel Peace Prize and global fame, is among the world’s most respected figures. Barack Obama awarded him the US highest honor, the Presidential Medal of Freedom. Tutu has been called “an inspiration" and was compared to Albert Schweitzer and Gandhi. The Wall Street Journal labeled him “the best known priest in the world.” Tutu was even asked to donate his genome to scientists to discover the African roots of mankind. Last week, the Archbishop sponsored a call for an arms embargo against Israel. Next November, Tutu will open in Cape Town the third session of the anti-Israeli Russell Tribunal, a standing organization that held two tribunals against Israel last year in Barcelona and London. During this event, Tutu will seek to determine whether Israel’s policies fit the international legal definition of the crime of “apartheid." Making apartheid accusations against a state that undertook major operations to save black Jews in Africa is ludicrous. But the Christian Archbishop is not interested in preaching the truth, but rather, in promoting the liquidation of Israel, creating a new, horrible Jewish Diaspora. On university campuses worldwide, in the mainstream media and in large parts of Western public opinion, Tutu’s analogy is a very popular cause and “Zionist apartheid” is already the new codeword for racist evil. Thanks to Tutu, the World Conference against Racism, held by the United Nations in Durban in 2001, was transformed into a racist conference against Israel. In the same city where President Mbeki held his festival of victory against apartheid, another death sentence for the Jews was being pronounced under Tutu’s umbrella and that of the United Nations. Tutu has demonized the “Jewish lobby” as too “powerful” and “scary," resorting to a vile myth rooted in anti-Jewish stereotype, whereby the Jews control Washington. According to Tutu’s horrific and false accusation against the Jewish people, Israel is a sadistically colonialist entity, a blind persecutor of children, and a mad builder of apartheid walls. Tutu has asserted that Zionism has “very many parallels with racism.” He has compared Israel to Hitler’s Germany and Stalin’s Soviet Union, saying that they too were once “very powerful” but they “bit the dust,” as will “unjust” Israel. Tutu has claimed that the Christian God sides with the Palestinians, whom he compares to the Israelites under slavery in Egypt. Tutu is also responsible for the “apartheid wall” mythology that has been one of the most repugnant propagandistic manipulations that Israel has ever suffered, because it is based on ignoring of the cause-effect nexus. All decent people know that Israel is not Soweto. But Tutu resembles those Christian bishops who fomented the Final Solution by the idea that the wandering Jew is the symbol of God's rejection of the Jewish people. Tutu's cassock masks a long, hateful history of ugly intolerance toward the Jewish people and Israel. Under a new guise, the Nazi appeal “Kauft nicht bei Juden…” (Don't buy from Jews) is back.